Start your trip to Baiersbronn, De-bw, Germany | Travel Expressions Ltd.
Baiersbronn is a municipality in the district of Freudenstadt in Baden-Württemberg in southern Germany. 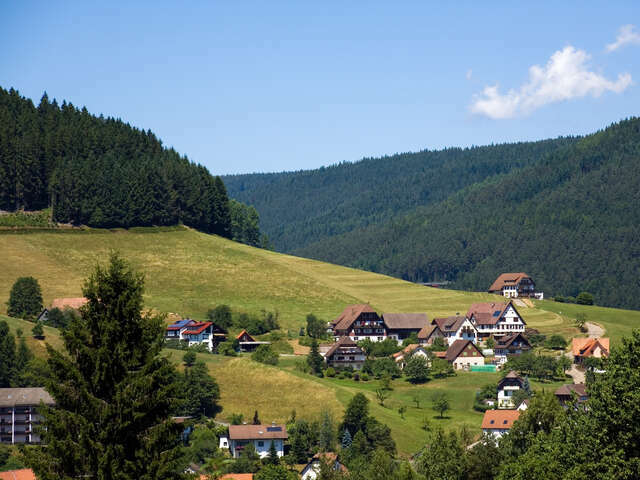 It is situated in the Black Forest on the Murg river. Baiersbronn is twinned with Midhurst in West Sussex, England. Reichenbach Priory, a medieval monastery building, is located in the village of Klosterreichenbach. Baiersbronn is also famous as a centre of haute cuisine in Germany, having 8 Michelin stars in total.